Hello, and welcome to the Mohawk Valley Vikings Football Home Page! For those of you unfamiliar with the historic Mohawk Valley's whereabouts, it is located in the heart of Central New York State, primarily in Oneida and Herkimer Counties, and is represented by the greater Utica-Rome metropolitan area. 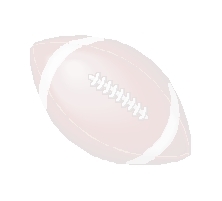 As a team, we are a newly formed, legally established "amateur" semi-profesional football organization with membership affiliation in the New York State "Amateur" Football League. The league also consists of the Syracuse Express, Glove Cities (Gloversville-Johnstown) Colonials, Watertown Red & Black, Central New York (Cortland) Warriors, Batavia Bandits, Hornell Dragons and Buffalo Gladiators. We have a front-office administration with officers and a Board of Directors. We also employ a capable and experienced coaching staff, as well as a current roster of 60+ players preparing for the upcoming season (July-September), and we are still recruiting more. Our goal was, and continues to be, to bring highly organized, competitive semi-professional football to Central New York as an outlet for adults who wish to continue their post-high school or college football experience. We also offer inexperienced, though highly motivated individuals, the opportunity to participate in organized football. Additionally, we provide a family oriented entertainment venue on Saturday evenings for anxious fans. Since our site and team are so new, with much more to come, we invite your comments and suggestions. If you are interested in contributing your talents to our organization as a player, coach, administrator or sponsor, e-mail: mv_vikings@hotmail.com and address it to "VIKING." Thank you for your visit. Please feel free to comment in our forum.